The results of the OGAE Second Chance Contest have been announced, and the winner is Annalisa from Italy. Her song “Il Mondo Prima Di Te” won with 350 points, setting a new record for the contest. The annual event, which aims to shed light on national final songs that deserve a second chance at Eurovision glory, was held is Eskilstuna, Sweden following Sweden’s victory last year in Warsaw. 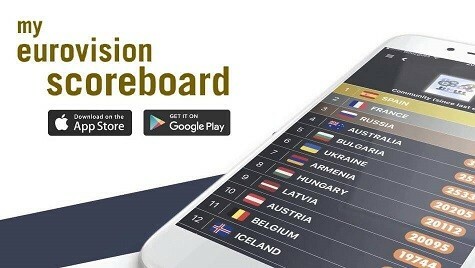 This year, 27 countries nominated what each believed was their best non-winning national final entry from the 2018 season. A total of 44 different countries participated in the voting, setting another record for the contest. Viewers were treated to live performances, which featured Erik Linder (Melfest 2010), Michele Imberti, and a surprise appearance by last year’s winner Mariette, who performed her winning song, “A Million Years”. Earlier this summer, our readers voted for their favourite entry competing in the 2018 Second Chance Contest. Your favorites were Spain’s “Lo Malo” by Ana & Aitana with 13.75% of the votes and San Marino’s “Out of the Twilight” by Sara de Blue, which earned 13.13% of the votes. The contest’s winning song “Il Mondo Prima Di Te” by Annalisa fell a bit short in our poll and came in seventh place with 4.4% of the votes. And while Armenia’s Nemra finished third in our poll, they ended up landing in 24th place out of the 27 competing entries. Our readers did, however, correctly predict Iceland’s last place finish in what seems to be shaping up to be the year of last place finishes for the country. Back in February, Annalisa placed third in Italy’s illustrious Sanremo Festival, which serves as their national selection for Eurovision. And while she may not have taken the title in Sanremo, she has certainly earned this win in Eskilstuna, which marks Italy’s third Second Chance Contest victory. Coming in second place at the contest is France’s Emmy Liyanna, whose song “OK ou KO” left a lasting impression on Eurovision fans. Rounding out the top three and breaking her “second place curse” is Saara Aalto from Finland. Her bronze medal achievement in Eskilstuna marks Finland’s best result since their win in 2000. What do you think? Are you happy with the results? Or do you think your favorite should be entered in a third chance contest? Sound off in the comment below! Sweden was my #1, glad to see it high. Italy was also great. Spain was robbed. The winner is cute tho. I love Annalisa and her song and I would also be happy if Emmy Lyiana had won. Hope to see both of them in Eurovision someday. Italy is a deserving winner and in my opinion, Annalisa had maybe the 4th or 5th best song at SanRemo this year. Fantasy quality from Italy and they continue to show what a national final should be! Annalissa’s popularity is rising in Italy now. She managed to finished 3rd in San Remo this year. Her highest placing yet. Hope she’ll be on ESC one day. I don’t understand the Annalisa hype. She is a great singer, but the song was boring. I’m sorry. Ana & Aitana were robbed again. If EBU ever runs out of money they can produce the contest like the second chance one and I won’t mind. It’s prettt adorbz I think. Yay! I’m so happy Annalisa won, I love ‘Non mi avete fatto niente’ and believe it deserved to win Sanremo, but ‘Il mondo prima di te’ is a such a beautiful song that I still listen to on a regular basis. Eh that was not nice. Ps i probably would be scared to death if i saw your face live. He is 15 years and does a GREAT work. Some results are good… But only social media Eurofans have good taste, these OGAE assholes only have taste for generic songs, Sweden 6th?! Seriously?! Yes okay. Good winner, a very nice song. But I’m still here wondering why the hell Latvia had freaking ,,Younger days” as their song when they had ,,Just Fine” and ,,Esamiba” to offer – two very amazing songs. But what do I know…. Esamiba…oh I loved that so much! I guess they enjoy finishing low. Latvian public picked Laura Rizzoto so not surprised their OGAE went with a not so obvious points-getter, too. The best song of course !! Congratulations to Italy and beautiful Annalisa. I Hope to see you in the real Eurovision one day!